If you have any ideas for any up and coming show s or would like to see any topics discussed or revisited. ​Click the button and drop us a line. We really appreciate your feed back. Peace & greetings everyone! We come with more structure to build. We Honorably request your presence for our Blog Talk Radio Presence , First World Order. First World Order is our way of giving back to our community. 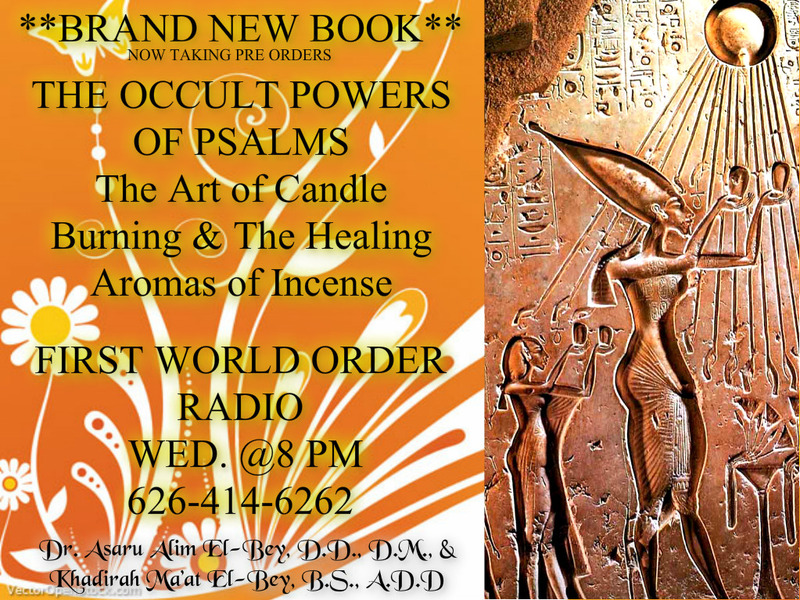 We are also honored that all of you have expressed an interest in our First World Order Radio jewel dropping sessions. Sunday's: Healing Wings Online Alternative Healing wings meetngs via conference call. Thursday: United Washitaw INDIGENOUS common sense meetings via conferece call. Hey its Kenya. How do I join or get on the mailing list for first world order radio? I would love to have all of the shows, should I just subscribe? Thank PS this show keeps me going, giving my brain something new to learn and stimulate it. Keep teaching the truth my friends. Moor-ena El GREETINGS GREAT DOCTOR!!!!! SO MUCH LOVE TO YOU!! AWESOME SHOW PLEASE NEVER EVER EVER STOP THE SHOW!! I APPRECIATE YOUR QUEEN AND BRO FAHIM SHARE THEIR PEARLS OF WISDOM!! IT WAS AWESOME TO HEAR OUR SISTERS BUILD IT SEEMS LIKE THERE ARE SO FEW BUT WHEN I HEARD SO MANY CALLED IN I WAS ECSTATIC! YAY! THEY ARE ROLLIN IN!! ﻿Love Jones: ﻿Every time I listen to Dr. Alim Bey I feel like grabbing a snack, some water, a notebook and tuning in for some deep innerstanding. I know I'm going to be here for a while feeding off this wisdom. I love my people!! I've learned more in 6 months then I have in decades of school or the Western university system. K7aSsikTHUG13: NAMASTE HOTEP NETER PEACE GOD ASHE 13 7UV MER-KA-BAH RIDDIN "WE HERE" KEEP DOIN UR THING ELOHIM 137ISSINGS 2 U N UR 7UV UR KNOWLEDGE FEEDS ME POWER G WORD UP! KEEP IT UP ASHE 13 7UV 13 RA'SPEK PEACE GOD HOTEP NETER NAMASTE 13TH OVATONE OoooOoOoOmMmMmmMMmmm﻿! ﻿﻿﻿﻿﻿﻿Dave York:﻿﻿﻿﻿﻿﻿ HOTEP LOVE the video that you upload this is Bro. 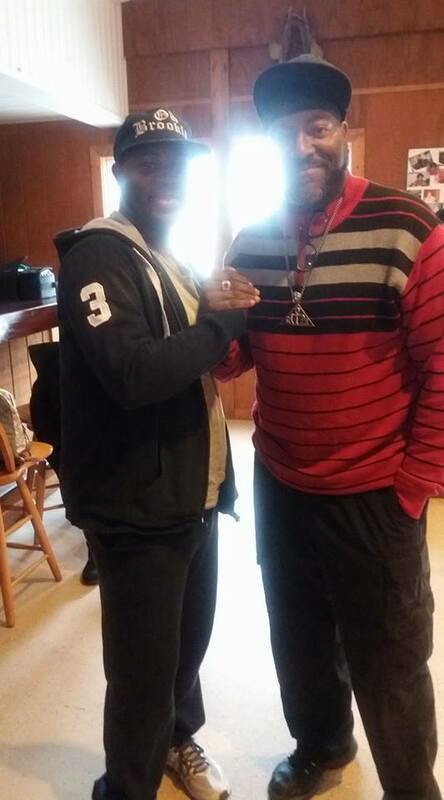 Anisu n Philadelphia my first time hearing this POWER TRUTHS HOW N WHERE CAN I GET UR BOOK TO LEARN THE TRUE PATH OF PURE ENERGY AND TO BECOME PART OF THIS MOVEMENT. I'M IN MY 40'S N THIS IS THE BEST MY SOUL EVER HEARD ALL YEAR ROUND! LOVE YOU AND OUR ANCESTORS FOR THIS DIVINE FACTS OF LIFE. I NEED TO be come a MASTER to myself, as well as, to help teach our people' s one LOVE WORLD OVER HOTEP'. Where we make you the solution. 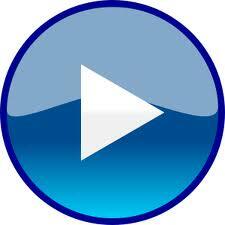 Click the Blog talk buttons below to hear archived shows that you won't want to miss! Come back daily to get updated videos!